Cleanmo's cleaning cards is processed based on advanced technology. It has excellent performances in the following details. Compared with products in the same category, Cleanmo's cleanroom wipes has the following outstanding features. 3. Cleanmo's cleanroom and ESD consumables are ISO certified. customers' precious suggestions are always welcomed for our better mouth swab,Foam Cleaning Swabs. 4. Cleanmo's sticky series help quickly and easily pick up loose and semi-loose particles. riding on unfathomable volumes of industrial expertise, we are engaged in offering a broad assortment of ear swab,Cleanroom Foam swabs. 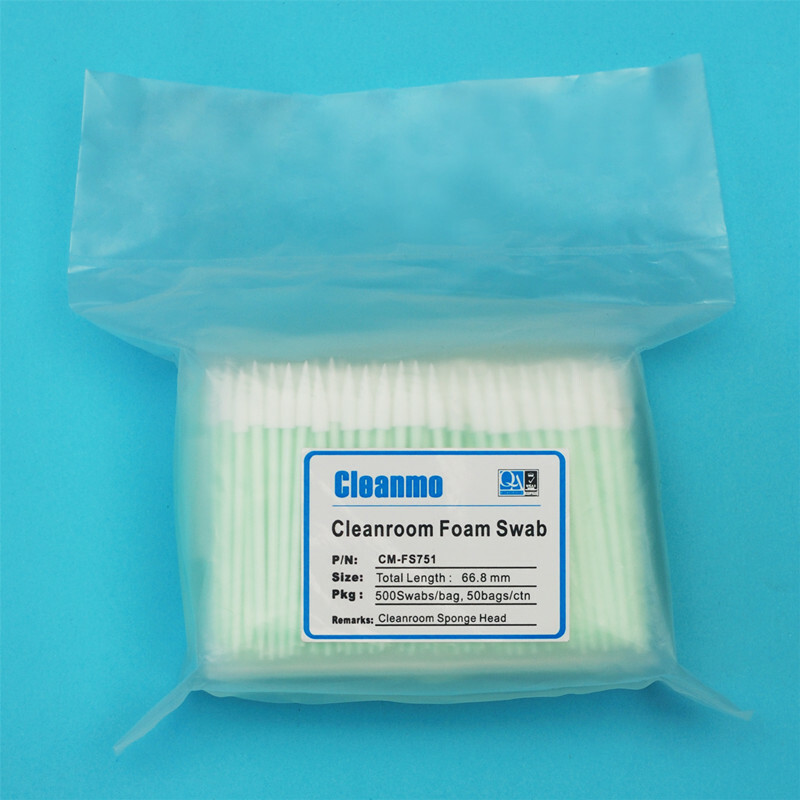 ◔ Cleanmo’s CM-FS751 Industrial Cleanroom Foam Swab is a good substitute for ITW Texwipe Foam Swab TX751B Foam swab . 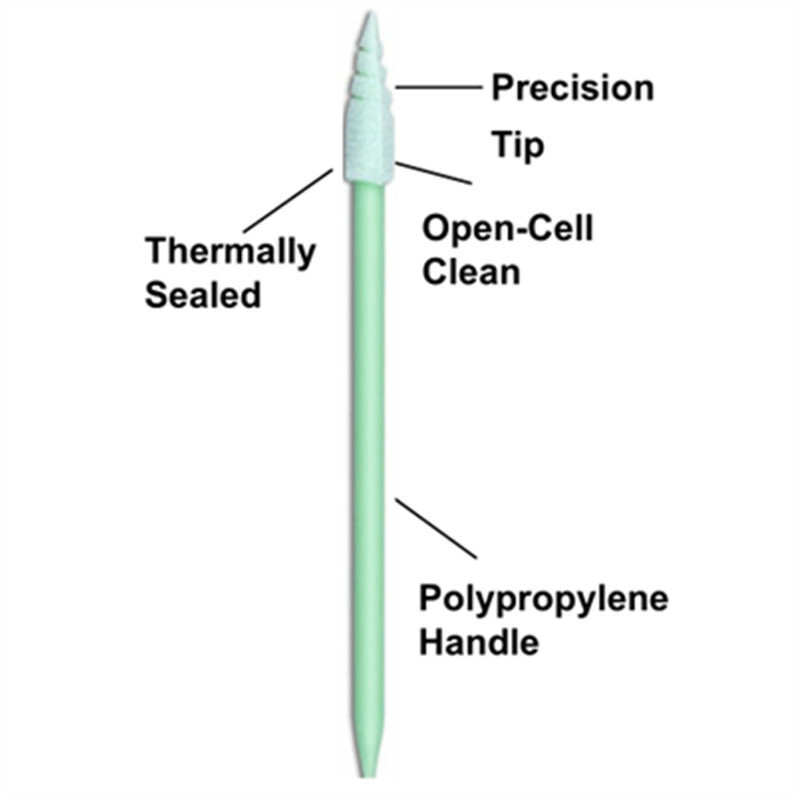 ◔ Cleanmo foam swab of CM-FS751 is with spiral precision tip head swab and double tip head . it is It is good choice to clean the precision instrument and cleaning small, slotted areas ,hard to reach place,like hole or groove and so on . ◔ The spiral precision tip head is use 100% Compressed polyurethane foam from Japan and it is 100 pores per inch and free from organic contaminants such as silicone, amides or phthalate esters..
1. Shenzhen Cleanmo Technology Co., Ltd. is a comprehensive multinational group focusing on mouth swab manufacturing. 2. The Cleanmo factory has a variety of advanced professional production equipment and testing equipment. 3. Cleanmo has been putting a great amount of effort into pursuit that is beneficial to the development of the company. Welcome to visit our factory!